The Friends of H.V. 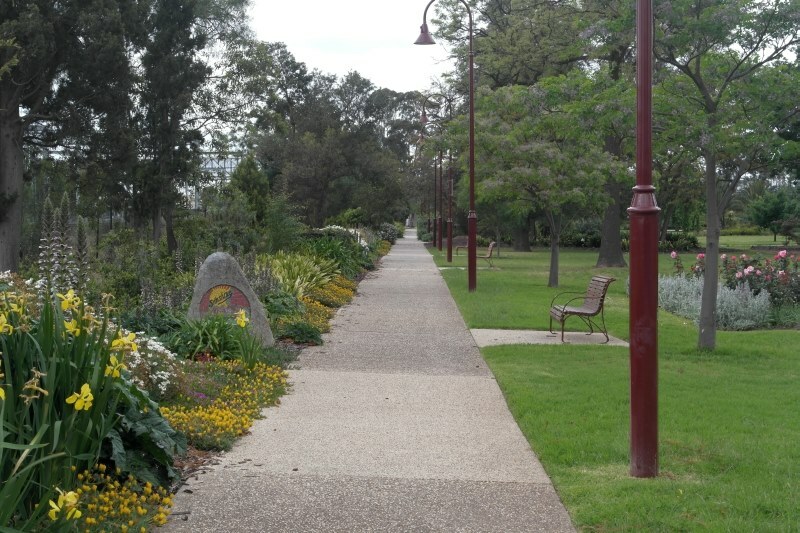 McKay Memorial Gardens group (the Friends) was formed in 2007. We are interested in the restoration and maintenance of the historic H.V. McKay Memorial Gardens in Sunshine, Victoria, Australia. Our activities vary from running planting days and historical walks to choosing trees and making submissions to the local council. We meet every two months on the fourth Tuesday of that month. Meetings are held at a rotating location in the Sunshine area. Anyone can join the Friends, even if you are not a gardener. The Friends issue a free newsletter. If you wish to receive the newsletter via email, just contact us. Financial membership of the Friends group provides opportunities to participate in making decisions about the future shape of the gardens and helps us continue our work. Joining is as simple as paying subscription fees and attending a meeting. Full membership of the Friends is $10.00 per year, due each August. To become a member or donate to the Friends contact us.